This was one of the first trails I took last year after I moved to Bainbridge Island. This year I went on 13 April, about 3 weeks earlier, and saw many more flowers than last time, when things had already peaked. 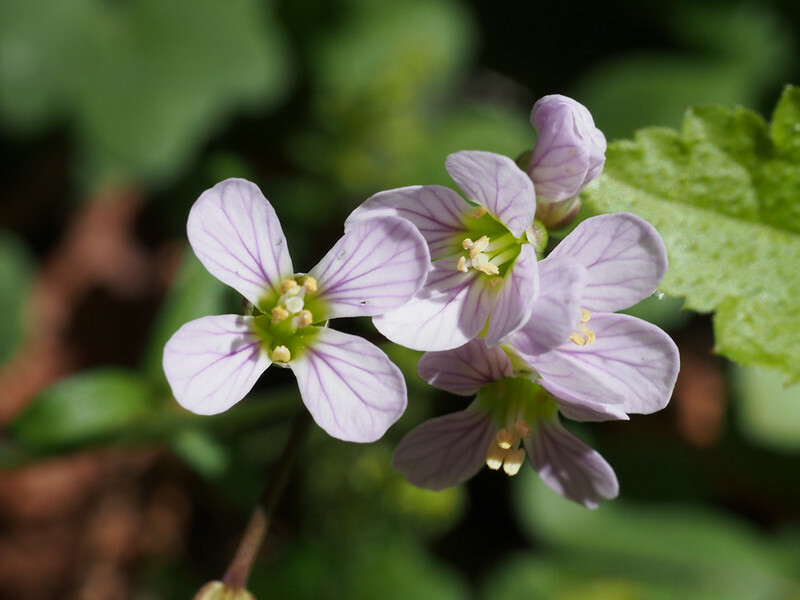 Cardamine pulcherrima, false spring beauty. This is a plant which is very common in Oregon but which you don't see much of in Washington state. Because the Olympic Mountains largely escaped glaciation in the last Ice Age, one finds outlier populations like this in them.